AFRICANGLOBE – The push for adoption of a single currency for the East Africa Community could be overshadowed by regional politics at Wednesday’s Heads of State meeting in Burundi’s capital, Bujumbura. 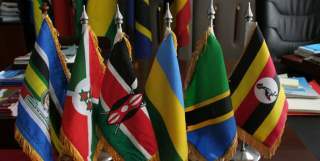 Presidents from Kenya, Tanzania, Uganda, Rwanda and Burundi will be holding their 13th Ordinary Summit for the EAC to deliberate on issues affecting the region’s integration process. Top of the agenda is the push to integrate regional economies by scaling up the common market to a monetary union whose centerpiece is the adoption of a single currency. On the fast-tracked integration calendar, the region is to move to single currency by next year and a political federation by 2015. But deliberations on the applications by Sudan and South Sudan to join the EAC are likely to take centre stage. While South Sudan has been seen as a natural fit, with regional leaders saying Juba was welcome to join even before gaining independence from Sudan in July this year. The Khartoum application, which Khartoum made before Juba’s, is likely to be a thorny issue. “For East Africa, South Sudan is easier to integrate. It is almost a foregone conclusion,” said Prof Macharia Munene, an international relations expert and African historian at the United States International University. “South Sudan is adjacent to the region. Its markets are readily available, too. However, the story of Sudan could be up for delay and discussion,” he said. At a dinner with Uganda’s President Yoweri Museveni last week, South Sudan President Salva Kiir even reiterated his country’s commitment to join the bloc, announcing in Entebbe that Juba had officially applied for membership in the EAC. The delay in accepting Khartoum’s submission could be caused by a number of factors. Key among them is that the EAC treaty spells out that any country that seeks to join the bloc should be geographically contiguous to the other states in the region. “With the secession of South Sudan, Sudan now has no direct link to the region,” Mr Munene said. He added that Sudan’s desire to join the EAC could now be linked to the admission of South Sudan. Issues of Khartoum’s human rights record, setbacks related to language and identity in addition to regional power politics might affect how the applications of the two countries are addressed at the summit. But there is a bigger power play in store. Sources indicate that Rwanda President Paul Kagame might push for Sudan to join the union, with Mr Museveni and Tanzania’s President Jakaya Kikwete objecting to the nation’s admission to the trading bloc. The stand by President Mwai Kibaki and Burundi’s Pierre Nkurunziza are not clear, although Nairobi would want to appease both Khartoum and South Sudan. President Kibaki is to replace President Nkurunziza as the chairman of the EAC for a period of one year at the Bujumbura meeting. The war against Al-Shabaab in Somalia is also expected to be on the agenda, with a proposal to institute sanctions targeting individual Somali politicians expected to be discussed. The proposal was put by the EAC’s Sectoral Council on Cooperation in Defence as part of the region’s measures to bolster security. The report stresses the urgency to deal with the Somalia crisis saying lack of engagement “could lead to instability in the whole region”.